There are several ways to achieve that. Let’s take a look at some of them. The first approach we are going to cover is to use Content Delivery Network (CDN). Many libraries nowadays provide a compiled version of itself hosted on CDN. The advantage of that approach that it allows easily add to your project and it would be faster for users to get that file. CDNs are distributed across the planet and work in the way that user who opens your site will hit closest CDN to him, even if your host server located on a different continent. It also caches the file, so if a user has been used the same library on the other site he would get that file even faster. Check out the “7 Reasons to use a CDN” article for more stuff about the subject. Every approach has its disadvantages. So does and CDN. It requires an internet connection to work. So it depends how much do you work without internet on your computer. You are depending on external service. Although the chance of that service becomes unavailable is quite rare. It is also a matter of trust to the resource which serves files to you. Will it be up? Will it play by rules and won’t inject harmful code via those files? Those are the questions you need to ask before deciding to use it. Anyway, let’s move to implementation. 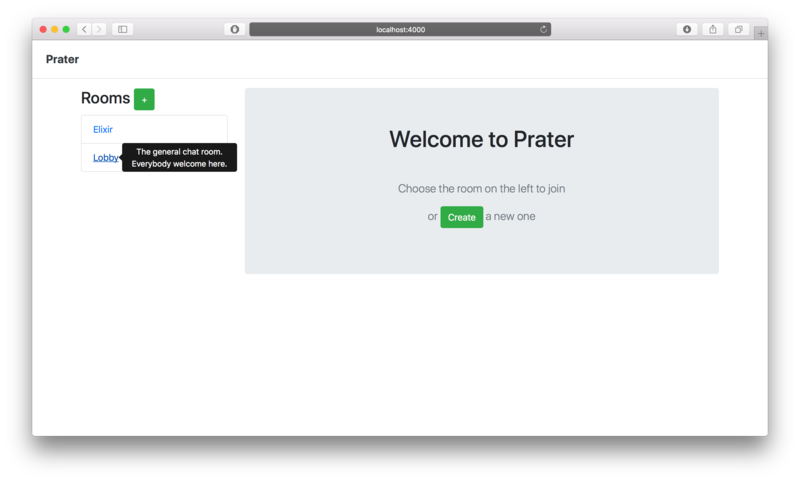 To starting using Bootstrap from CDN we need to update our layout file lib/prater_web/templates/layout/app.html.eex by adding CSS to the <head> right before we are using our css/app.css file. Here we start using the Bootstrap CND link. You can also see there is integrity option. But what does it mean? I will quote the description from MDN web docs but I would also recommend reading the document as well. That can reduce one of your fears and project yourself from getting a harmful version of the file. That is pretty much it. We have Bootstrap 4 in our projects. Although the layout differs from Bootstrap 3 we had before. So we need to update our layout to work with Bootstrap 4. Let’s dot hat. First, we can remove following files which come with Phoenix. We don’t need them anymore. Next, in the lib/prater_web/templates/layout/app.html.eex file we need to replace the “navbar” section with the following markup. We also need to wrap our flash messages into conditions to render them only when we have some of them. The complete changes of the layout update you can find in the following commit. That should be enough for our layout to support Bootstrap 4. Now let’s check if our JS works. We are going to add a small tooltip message to our rooms’ list. In the previous versions Bootstrap used to ship with icons, now it does not include them anymore and we need to use external libraries. Bootstrap also provides a list of libraries we can use. Back in the day, I was using a collection of the icons called Font Awesome. Let’s use them to add small improvements to our interface. As it stated on Font Awesome page, the easiest and recommended way to add that library into our project is to use CDN. We already familiar with that one. Let’s add a CDN link right after our Bootstrap CDN. Now we are ready to use icons. Where the icon-name is the name of the icon you can find on the Font Awesome site. Let’s improve our tooltip by displaying a small “info” icon next to a room name. To do that we need to update the <li> tag in the lib/prater_web/templates/room/index.html.eex file. We are drawing the icon here on the right side of our list item. By hovering the cursor over that icon we are showing a description of the room. We are also drawing the icon only for rooms which have a description. Ok, I think we did enough to check that the libraries are working. Let’s try a different approach to adding libraries to the project. First, we need to remove CDN links to jQuery, Popper.js, and Bootstrap we were using in the beginning. Next, in the assets/package.json file we need to add those libraries into “dependencies” section. We also would need to add a “sass-brunch” as a “devDependencies” in the same file. Because we are going to use SCSS to serve Bootstrap files. Now, we are ready to install those dependencies. That is pretty much it. Now we can restart the Phoenix server and check if everything still works. It does for me. I believe there are two camps of people who like either approach. You can probably find a lot of links where people arguing against each of these approaches. Regarding to our case, I would say npm approach is trickier to install than use CDN links. To be honest that took me a while to google and figure out how to setup it properly. But it allows reusing Bootstrap’s SCSS variables to have a consistent style. would turn your Jumbotron header to Orange. Of course only if $orange still orange and not some kind of green. In the end, it is up to you which approach to use. Now you know them both. There is one more way to add Bootstrap into your project. Well, technically two ways, but they are very similar by their nature. Today we have figured out how to update the front-end libraries for the Phoenix project. We have migrated to newest (as for today) Bootstrap 4. We have covered two different approaches to integrate Bootstrap into our project by using CDN and npm. Using that knowledge now we can add additional libraries into the project by applying the same techniques. You can find the complete code examples on the GitHub. The CDN + Layout changes and NPM approach.